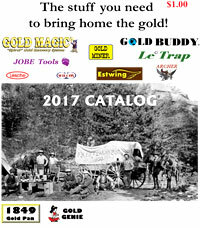 Nevada Gold, Las Vegas Gold, Arizona Gold, Utah Gold, Idaho Gold, Gold Rush, Gold Fever, Elderado Canyon, Gold Mines, Placer Gold, Nuggets, Free Gold, Gold Maps, Gold Dealers,Treasuers. I want to know where to find gold? How to find gold? How to pan gold? What prospecting equipment is needed to recover gold? Prospecting for gold, gems and treasures is not very complicated. Start out by reading books such as Gold Mining In The 21st Century by Dave McCraken, How To Find Gold By Klein & Keene, Recreational Gold Prospecting by Gail Butler, to just name a few publications. There is a world of knowledge at your finger tips. Start mining the internet on topics like Gold, Prospecting, Sluicing, Highbanking, Drywashing, Gold pans, Check U-tube for videos on prospecting equipment use and demonstrations. Seek out and join your local chapter gold club, gem club and treasure clubs, there members will help and guide you. With over 85 percent of Gold to be discovered there has never been a better time to start prospecting then now. Gold prospecting has become very popular in recent years and with very good reason, with gold hovering around $1,200,00 an ounce. 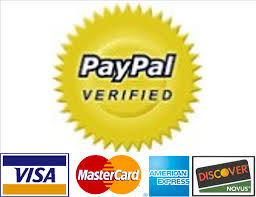 Many individuals and families are joining prospecting clubs like the GPAA (Gold Prospectors of America). The GPAA is a National Gold Prospecting club with more then 150 local chapters and hundreds of gold mining claims in the U.S. where you can gain experience, learn about gold prospecting, gem, treasure hunting and meet new friends. GPAA members come from all around to the claims and meet up with fellow prospectors and simply enjoy good ol” relaxation time, an opportunity for fellowship, fun, and outdoors adventure. OH, did I tell you, as a member of the GPAA you can prospect on any GPAA mining claim in any State and keep all the Gold you find. So join your local GPAA chapter, We do sell the GPAA Memberships and kits.